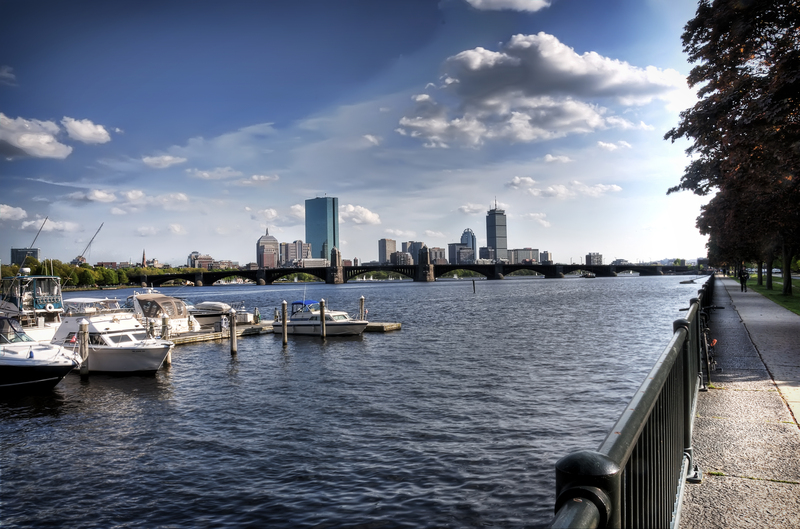 Boston is the capital and largest city of the state of Massachusetts in the northeast of the United States. Covering 48 square miles, it is also the largest city in New England . 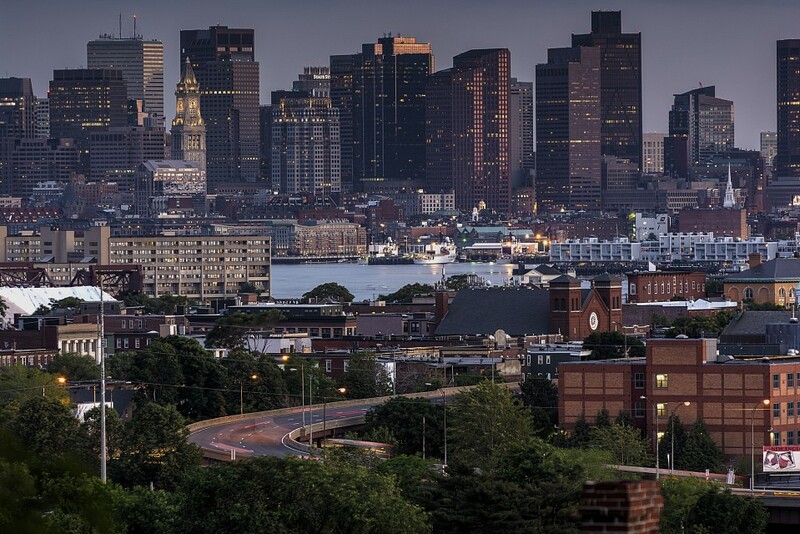 Boston has a population of almost 650,000, which makes it the 24th-largest city in the country. However, the city’s metropolitan area is home to 4.5 million people, making it the 10th-largest metropolitan area in the United States. 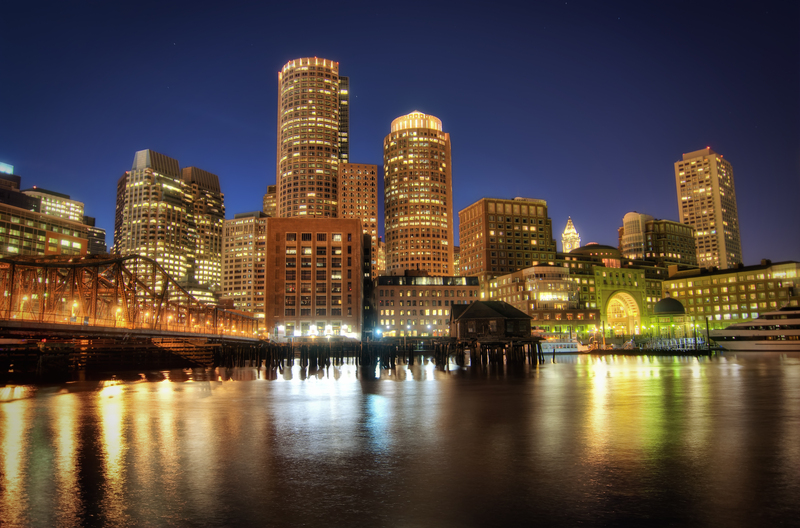 Boston is also one of the oldest cities in the country, having been founded in 1630. Many key events, particularly related to the American Revolution, took place in the city and the surrounding area. This long and rich history attracts millions of visitors each year. Faneuil Hall alone draws in twenty million visitors. Boston holds the record of several ‘first’ in the country, such as the first Latin school, the first public school, and the first subway system. The city is home to many institutions of higher education and research, a few of the finest hospitals in the world, as well as professional sports teams and cultural organizations. The area of present-day Boston was originally called Shawmut by the Native Americans. The earliest European settlers named it Trimountaine for its three mountains, which are all but gone today. The settlement was renamed Boston in 1630 after a town in Lincolnshire, England, the former home of many colonists. The first public school in America was established in Boston in 1635. The city grew rapidly and kept growing until very recent times. Until the mid-18th century, Boston even was the largest city in British North America. It was then that Philadelphia surpassed it in terms of size. Many key events leading up to and during the American Revolution took place in or near Boston. It all started with the Boston Massacre on March 5, 1770, in front of the Old State House. Other events of major historical importance were the Boston Tea Party, the Battle of Lexington and Concord, the Battle of Bunker Hill, and the Siege of Boston. After American independence was secured and the Commonwealth of Massachusetts established, Boston became the capital city of the brand new state. At the same time of its economic and industrial growth, Boston was also a center of culture and arts. It was famous for its literary life – with writers such as Ralph Waldo Emerson and Walt Whitman – and artists. The city also became one of the largest centers of the abolitionist movement and played a huge role in the American Civil War. The population of the city started to grow exponentially in the 19th century. The first group of immigrants was the Irish, who left their mother country during the Potato Famine. 35,000 Irish lived in Boston in 1850. Later in the 19th century, further waves of immigration brought people from Germany, Poland; Italy, Syria; Lebanon, Russia; and French Canada to the city. Boston’s central neighborhoods became an eclectic mix of various immigrants, but the Irish have always dominated the immigration statistics. Examples of influential people with Irish roots are John F. Fitzgerald, Tip O’Neill, and, of course, the Kennedys. Now, Boston is home to a few world-class hospitals and medical care centers, as well as some renowned schools, such as Boston University, Berklee College of Music, and the Harvard Medical School. Boston is one of the most expensive cities to live in in the United States, but also ranks highly on livability charts. It is one of the most historic, wealthy, and influential cities in the entire nation. Boston covers a total of nearly 90 square miles, of which 48.4 square miles are land and the rest is water, in the northeast of the country. Officially, the city lies 19 feet above sea level; this is measured at Logan Airport. The highest point is Bellevue Hill, which lies 330 feet above sea level. 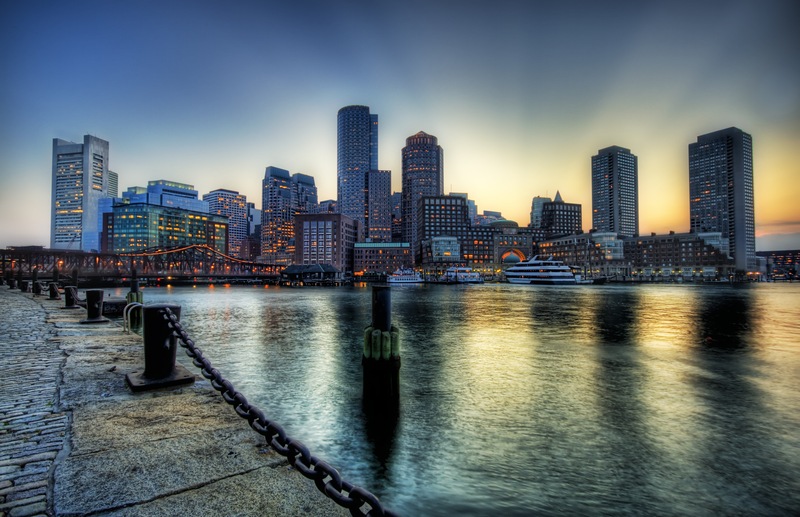 Boston is the only state capital in the lower 48 states that lies at an ocean. Boston is home to a number of fine museums. Visitors should consider buying one of the visitor passes if they want to visit some of them. The Museum of Fine Arts is the largest art museum in the city. It is renowned for its collection of Impressionist French paintings, the largest collection of Japanese art outside of Japan, a fine collection of Ancient Greek, Roman, and Egyptian art, and one of the country’s greatest collections of prints. This is a highly recommended museum to visit. Another excellent museum is the Harvard Museum of Natural History, located on the ground of the world-famous university. The absolute highlight is the fantastic “Glass Flowers” collection, which has been on display for almost a century. Other museums worth visiting are the Peabody Museum of Archaeology and Ethnology, MIT Museum, New England Aquarium, USS Constitution Museum, and the Semitic Museum. There really is only one way to start a visit to Boston though, and that is by walking the Freedom Trail. This 2.5-mile-long, marked walking path leads through the heart of historic Boston and past sixteen historic sites and buildings. It starts at Boston Common and the Massachusetts State House and winds its way past the Old State House, Paul Revere House, the Old South Meeting House, Granary Burying Ground, Faneuil Hall, Bunker Hill Monument, and many others before ending at USS Constitution in Charlestown. The Boston Common is a great place to hang out on a sunny day. It is the oldest public park in the United States and is usually full with people, musicians, vendors, and street artists. There are also a few monuments and several statues to be seen in the park. 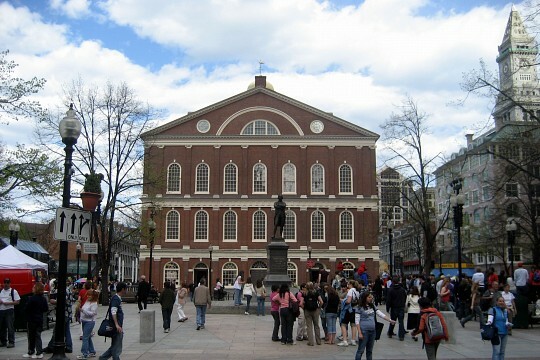 Another major highlight of any visit to Boston is Faneuil Hall and Quincy Market, which are two of the oldest marketplaces in the city. The area is always lively and full of entertainers, shops, restaurants, bars, and food stalls. Boston is chock-full of landmarks, sights, and historic places. 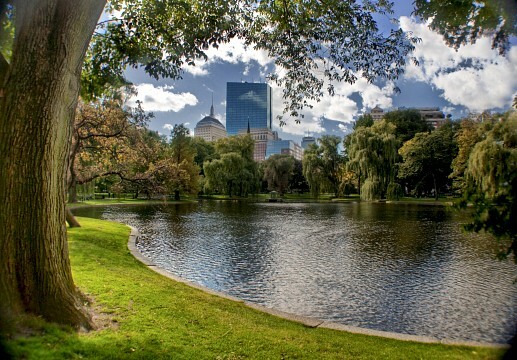 Other places that shouldn't be missed include Newbury Street with its high-end boutiques, galleries, and hair salons; Boston Harbor Islands State Park for walking, fishing, swimming, and picnicking; Copley Square; Beacon Hill; and Arnold Arboretum, the oldest public arboretum in North America. Major events that take place in the city are the Fourth of July, St Patrick’s Day, First Night (the oldest New Year’s Eve celebration in America), the Boston Marathon, and the Boston Pride. Various types of accommodation can be found all over the city. While downtown Boston (the historic center) is home to most high-end hotels, luxury properties and boutique hotels, the quieter residential areas is where the Bed & Breakfasts are located. 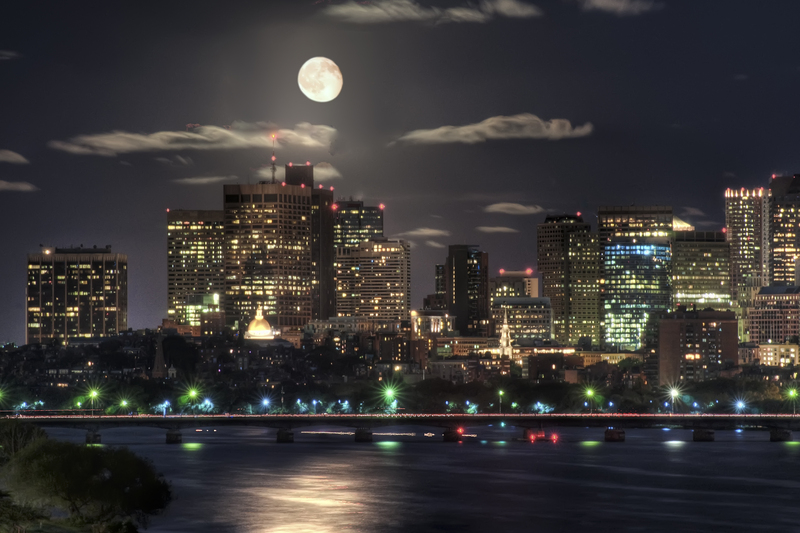 Although Boston has a large student population, there is a surprising lack of cheap accommodation, such as hostels, for budget travelers and backpackers. Especially the hotels around Boston Common and Beacon Hill are worth staying at for both the views and location, but they are also the most expensive. As a multicultural city perched on the New England coast, Boston is renowned for its food. Local specialties are lobster, baked beans, clam chowder and cod. Seafood is a staple in Boston and the on the rest of the northeast coast. Besides seafood restaurants, there are also many ethnic restaurants found all over the city. These are located in neighborhoods like Chinatown, North End, Coolidge Corner and Allston. Particularly the North End with its Italian eateries is a popular place for dining and entertainment. In Beacon Hill, the Bull & Funch Pub is a must on any visit to Boston. This pub was the inspiration for the legendary TV show "Cheers". It doesn't look anything like the set though; the "Cheers Bar" near Faneuil Hall is more of a replica of that TV set. A strongly recommended Boston restaurant is Legal Sea Foods. Originally from Cambridge, they now have a few restaurants in other locations in Boston. If you want to have some seafood - and you should - this is the place to go. Their clam chowder and oysters are excellent. In addition to food, Boston is also home to some great breweries, such as Sam Adams and Harpoon. Spending money can be done anywhere in the city, but there are some areas with bigger concentration of retail stores. 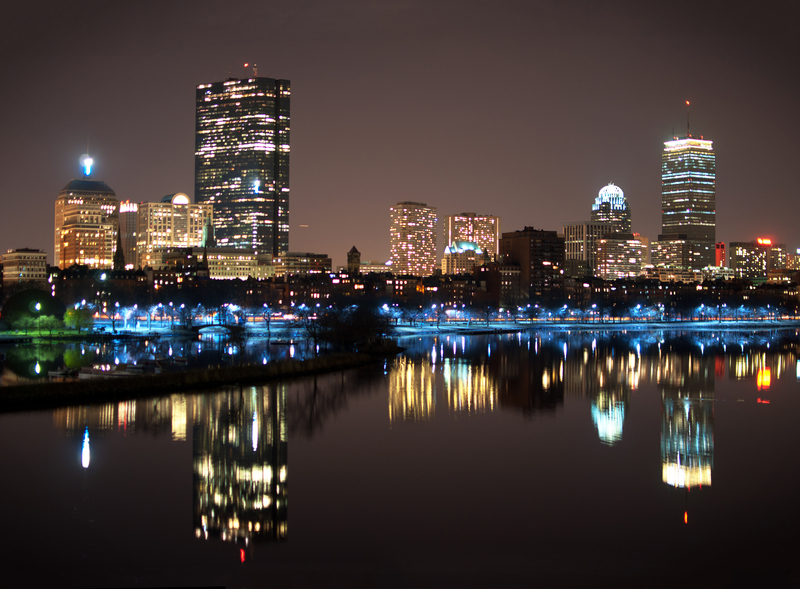 The largest shopping areas are found at the Back Bay and Downtown Crossing. 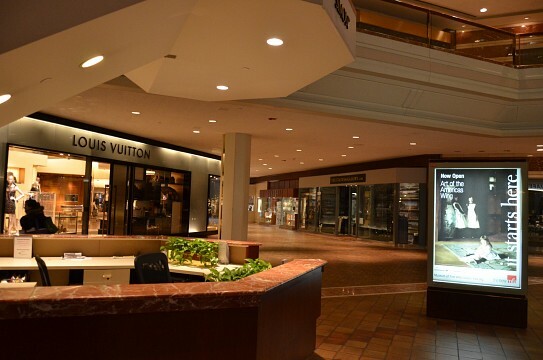 Two additional shopping malls are located in the city center: Copley Place and Prudential Center, and the Cambridgeside Galleria. 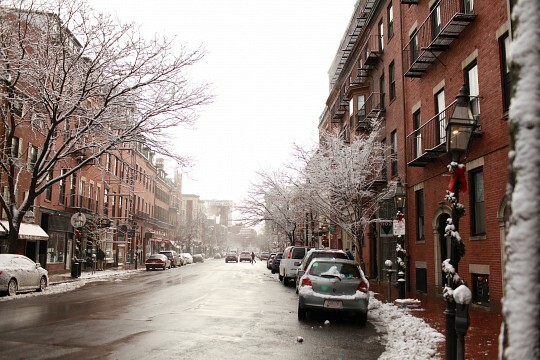 Popular shopping streets and squares are Newbury Street with its high-end boutiques; Harvard Square with its bookstores, cafés and small outlets; Charles Street in a much quieter neighborhood; and Coolidge Corner with its local village feel. Compared to other American cities, Boston has a low crime rate. 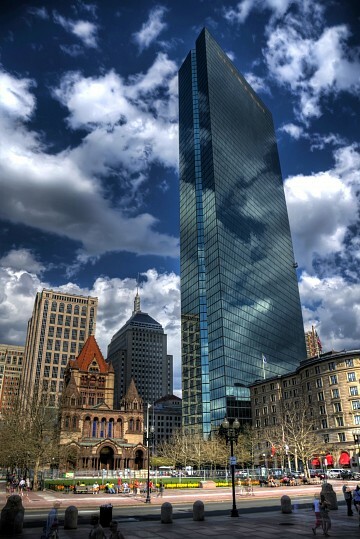 All areas in downtown Boston, such as Back Bay, Beacon Hill, Prudential Center, South End and Faneuil Hall, are absolutely safe to walk around in, even at night. However, there are some neighborhoods that are best avoided: Roxbury, Mattapan and Dorchester are examples. The largest threat to tourists and visitors are pickpockets, so it is advised to be vigilant and always keep an eye on your belongings. 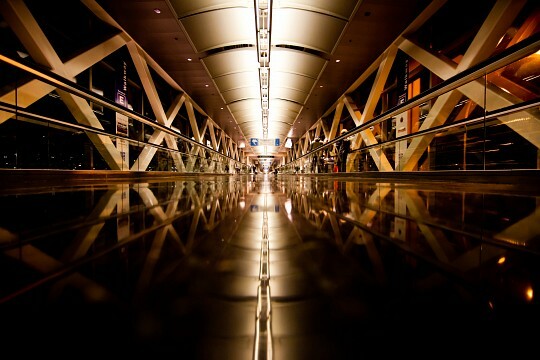 Logan International Airport is the main airport in Boston and New England. It lies only three miles from downtown Boston and has flights to and from destination all over the world. Getting in by train is possible as well, with Amtrak or MBTA. There is a host of long-distance and local bus companies that serves Boston, while getting in by car and boat is no problem at all either. Getting around in the city can be confusing and even difficult. Unlike other North American cities, Boston is not laid out in a grid, but is more of a maze of historic streets. Therefore driving is to be avoided. The subway, bus network, local trains, water shuttles, and taxis make it pretty easy to get around though. Downtown Boston is extremely compact for such a big city and is entirely possible to travel everywhere on foot as well. Public transport is managed by one company, the MBTA or Massachusetts Bay Transportation Authority. It is the fourth-largest transit system in the country. The subway consists of four different lines (blue, green, red and orange) and can get visitors pretty anywhere, except for some places in the non-touristy suburbs. Buses are generally slower than the subway, but they have the advantage that they stop closer to particular landmarks and/or attractions, and they are cheaper as well. A few water shuttles are also run by the MBTA, connecting places such as the USS Constitution Museum, Faneuil Hall and the New England Aquarium.